NASCAR announces a new championship format that will put emphasis on winning races all season long. NASCAR Drive for Diversity (D4D), the leading youth development program for multicultural and female drivers, will head into the 2014 season with one of the most well-rounded and accomplished rosters in program history. The 2014 class is led by Daniel Suarez, who contended for two NASCAR touring series championships last year, and Ryan Gifford, who is coming off a successful 2013 that saw him earn his first NASCAR win and make his NASCAR national series debut. They will be joined by a group of talented newcomers looking to make their mark in the NASCAR K&N Pro Series and NASCAR Whelen All-American Series. In addition to Suarez and Gifford, Sergio Peña returns to the program in which he earned three wins and finished fifth in NASCAR K&N Pro Series East points in 2011. They’ll be joined in the NASCAR K&N Pro Series ranks by Jay Beasley. Beasley won the 2013 NASCAR Whelen All-American Series Super Late Model track championship at The Bullring at Las Vegas Motor Speedway and the series’ Nevada championship. Devon Amos, who drove with Rev Racing’s Legends program last year, and Paige Decker will compete for the team in Late Models in the NASCAR Whelen All-American Series. D4D saw one the strongest pool of applicants the program has ever seen this year. Nearly 100 drivers, representing 14 states and Mexico, applied for an opportunity to try out for a spot with Rev Racing at the annual D4D Combine – a three-day tryout where drivers’ undergo physical assessments and are evaluated on on-track abilities by executives across the industry. In 2013, D4D saw the impressive rise of graduates Kyle Larson and Darrell Wallace Jr. Wallace became the first African-American to win a national series victory in nearly 50 years at Martinsville in the NASCAR Camping World Truck Series. 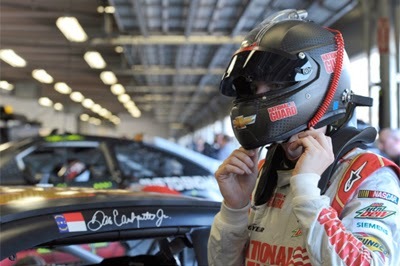 And Larson, whose meteoric rise through the ranks solidified D4D as a driving powerhouse for developmental athletes at NASCAR, earned the Sunoco Rookie of the Year Award in the NASCAR Nationwide Series as well as became the first D4D participant to secure a full-time ride in the NASCAR Sprint Cup Series for Ganassi Racing with Felix Sabates. Larson was also the first D4D driver to secure a national series victory. Daniel Suárez: The Monterrey, Mexico, native is a member of the NASCAR Next program and joins Rev Racing for the second season. The 22-year-old finished third in the 2013 NASCAR K&N Pro Series East championship standings and was the championship runner-up in the NASCAR Mexico Toyota Series in 2013. He recorded his first NASCAR K&N Pro Series East win last July at Columbus (Ohio) Motor Speedway. Ryan Gifford: Another member of the NASCAR Next program, the 24-year-old from Winchester, Tenn., garnered his first NASCAR K&N Pro Series East win last season at Richmond (Va.) International Raceway. In 2010 at Martinsville (Va.) Speedway, he became the first African-American driver to win a NASCAR K&N Pro Series East pole position. Additionally, he made his NASCAR Nationwide Series debut last August at Iowa Speedway, finishing ninth driving for Richard Childress Racing. Jay Beasley: This 21-year-old from Las Vegas won the NASCAR Whelen All-American Series Super Late Model track championship at The Bullring at Las Vegas Motor Speedway and the series’ Nevada championship on the strength of eight victories in 14 starts. He also earned the 2013 Wendell Scott Trailblazer Award as a result of his early success on the track. Sergio Peña: With three career NASCAR K&N Pro Series East wins to his credit, the 21-year-old from Winchester, Va., has a pair of top-10 finishes in points for 2011-12 while collecting 19 top 10s in 39 NASCAR K&N Pro Series East career starts. Paige Decker: From Eagle River, Wis., the 20-year-old driver competed in her Super Late Model at tracks throughout the Midwest. Devon Amos: Competing mostly in a Legends car in 2013, the 22-year-old from Rio Rancho, N.M., scored a seventh-place finish in his stock car debut last summer at Hickory (N.C.) Motor Speedway. The NASCAR K&N Pro Series East kicks off its 2014 season at New Smyrna (Fla.) Speedway on Sunday, Feb. 16. Two days later, on Tuesday, Feb. 18, the UNOH Battle At The Beach will take place on the .37-mile short track situated on the Superstretch at Daytona International Speedway. The NASCAR Whelen All-American Series drivers will compete primarily at Hickory Motor Speedway, where the season is scheduled to get underway on March 8. When Bryan Clausen denied Kevin Swindell his fifth straight title and took the checkered flag on the final lap of last Saturday night's 28th running of the world famous Chili Bowl Nationals in Tulsa, Okla., history was in the making with a new first time winner and extensive live television coverage by MAVTV. Nicknamed the "Super Bowl" of midget racing and held indoors at the Tulsa Expo Center, the sold out spectacular event maintained its standing as one of the great annual motorsports happenings. For the first time ever viewers across the nation could cheer on their heroes as they enjoyed 3 hours of live nationwide television coverage for free. MAVTV scored a 'home run' with its first 'live' broadcast of 2014. According to Bob Patison, President of MAVTV; "The network was extremely pleased with its performance. 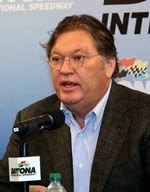 I thought our coverage was very good and the broadcast team led by Dave Despain did an outstanding job," said Patison. "I am very pleased to say that the phones have been ringing off the hook and emails piling up with praises from our viewers. In addition our preliminary ratings show the Chili Bowl to be the highest rated show in the network's history." The Chili Bowl is only the first of MAVTV's live broadcasts in 2014. Next up will be the Lucas Oil Late Model Dirt Series' East Bay Late Model Nationals from Tampa, Fla. on Thursday Feb. 13th, King of the Cage MMA on Saturday Feb. 22nd and all of the 1st Moto's from the Lucas Oil Pro Motocross Championships starting in May. With programming such as; The Chili Bowl, Endurocross, Drag Boats, Lucas Oil Off Road Racing, Late Model Dirt, Lucas Oil Modified, Lucas Oil Pro Motocross, the FIA World Rally Championship and Pirelli World Challenge, MAVTV is quickly becoming the go-to place for motorsports enthusiasts. In addition to Dish Network and DirecTV satellite services, MAVTV is currently available on many cable carriers. For further Information please visit: www.mavtv.com. Q. 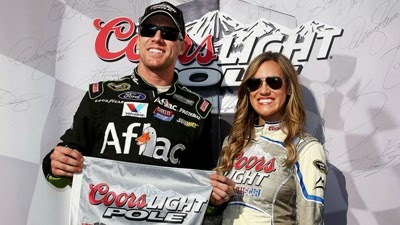 How does this new qualifying impact the Coors Light Pole Award or Keystone Light Pole Award? A. The fastest driver in the final round of NASCAR Sprint Cup Series and NASCAR Nationwide Series qualifying will earn the Coors Light Pole Award. The fastest driver in the final round of NASCAR Camping World Truck Series qualifying will earn the Keystone Light Pole Award. Q. How will the cars/trucks be chosen in the first round of qualifying? A. Cars/trucks will be lined up on pit road based on a random draw. Q. Where will the cars/trucks that advance go between rounds? A. Cars/trucks that advance return to their respective pit stalls in preparation for the next round of qualifying. Q. What kind of adjustments can be made on pit road during qualifying? A. Teams can make wedge, track bar, tire pressure and tape adjustments and also plug in oil on pit road, but only between each qualifying round. A team cannot jack up the vehicle or raise the hood. Q. What happens if a car/truck is involved in an on track incident during one of the qualifying rounds? Are they permitted to return to pit road and/or the garage to make repairs? A. Repairs are not permissible on pit road or in the garage during qualifying. Once a vehicle returns to the garage, it will not be permitted to return or compete in that qualifying round or any future qualifying rounds for that event. Q. 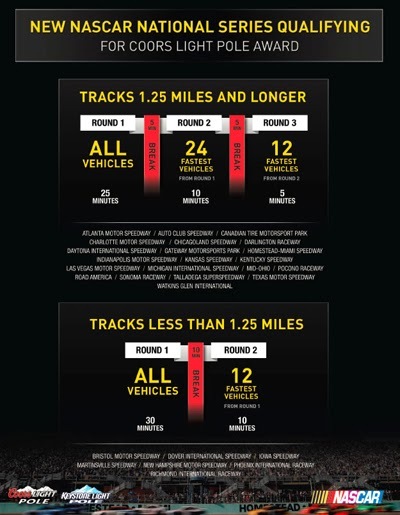 Will vehicles’ top lap speeds carry over between rounds? A. No. Top lap speeds are reset after each round. Q. Will NASCAR stop the clock during a qualifying round because of an incident? A. The clock will stop if the red flag is displayed and it can also be stopped at the discretion of the managing director of the series. Q. What happens when the clock strikes zero at the end of a round? A. Vehicles are allowed to cross the start/finish line one time. Q. Does a car/truck have to compete for the entire duration of a session? A. No, but the vehicle must complete one lap in order to record a qualifying time. Q. Does the new qualifying format impact provisionals? A. No. NASCAR’s provisional system remains intact and provisionals will be assigned at the end of the first round of qualifying. Q. What if two or more vehicles finish tied with the same top lap speed? A. If multiple vehicles are tied with the same top lap speed, their starting position will be determined by the owner point standings. If owner points cannot break the tie, the driver setting the duplicate time first would start in front of the other. Note: Owner points from the previous season will be used to break ties until the completion of the third championship event of the current season. Q. What happens if qualifying can’t be completed because of weather or other adverse conditions? A. If one or more qualifying sessions are completed, the starting positions will be determined based on the most-recently completed qualifying sessions. Q. What happens if qualifying is canceled because of weather or other adverse conditions? A. Starting positions will be determined per the rule book. Q. Will this format also be used for road courses? A. This format will be used at all NASCAR tracks across all three national series, with the exception of the Daytona 500 and non-points NASCAR Sprint Cup Series events and the NASCAR Camping World Truck Series race at Eldora Speedway. Q. Will pit stall selections be handled as they have been previously, with the No. 1 qualifier getting first choice, No. 2 qualifier getting the second choice, etc.? A. The pit stall selection process post-qualifying will remain the same. In a move aimed toward enhancing the fan experience watching at the track and at home, NASCAR has announced a new group qualifying format for its three national series that is more compelling, more closely emulates actual on-track competition and underlines the sport’s on-going commitment to innovation. The first qualifying elimination round will be 25 minutes in duration and includes all cars / trucks. The 24 cars / trucks that post the fastest single lap from the first qualifying round will advance to the second round. The remaining cars / trucks will be sorted based on their times posted in the first round of qualifying in descending order. The second qualifying elimination round will be 10 minutes in duration and the 12 cars / trucks that post the fastest single lap time will advance to the third and final round. The fastest remaining cars / trucks earn positions 13th through 24th based on their times posted in qualifying in descending order. The third and final qualifying round will be five minutes in duration and the fastest single lap time will determine positions 1st through 12th in descending order. There will be a five-minute break between each qualifying round. The first qualifying elimination round will be 30 minutes in duration and includes all cars / trucks. The 12 cars / trucks that post the fastest single lap time from the first qualifying round will advance to the second and final round. There will be a 10-minute break between the two qualifying rounds. The second and final qualifying round will be 10 minutes in duration and the fastest single lap time posted will determine positions 1st through 12th in descending order. The new qualifying format does not apply to the Daytona 500, which will preserve its historic and unique qualifying format. Additionally, it does not apply to non-points NASCAR Sprint Cup Series events or the NASCAR Camping World Truck Series event at Eldora Speedway. NASCAR previewed the concept of group qualifying with its national series teams late last fall and expects the new format will be a well-received improvement by its fans, competitors, tracks, sponsors and media partners. New NASCAR National Series Qualifying For The Coors Light Pole Award Unveiled Format Designed To Enhance Fan Experience, Broadcast and Digital Content. James Bickford (age 15) won the NASCAR Whelen All American Series Late Model championship at All American Speedway in his rookie year in 2013. He has been chosen to race the 2014 season in the NASCAR K&N Pro Series West. Driving for Bob Bruncati Racing in the No. 6 Sunrise Ford, he will replace Derek Thorn, who is the reigning K&N West champion. In 2013, Bickford, whose cousin is NASCAR Sprint Cup Series champion Jeff Gordon, made the transition to racing Late Models in the NASCAR Whelen All American Series at All American Speedway in Roseville. After only four starts, he racked up his first Late Model win on May 11, 2013. Driving the No. 25 Chevrolet sponsored by Buffship.com, Red Line Oil, Eibach Springs, Catchyoureye.com, Cooke Orthotics, Alpine Stars, and Piner’s Welding Supply, Bickford is the youngest driver in the 58-year history of All American Speedway to win a Late Model Series race and championship. Bickford has been adamant about racing in the K&N Series. He had hoped to race a couple of races last year. He had a car and everything but a motor. 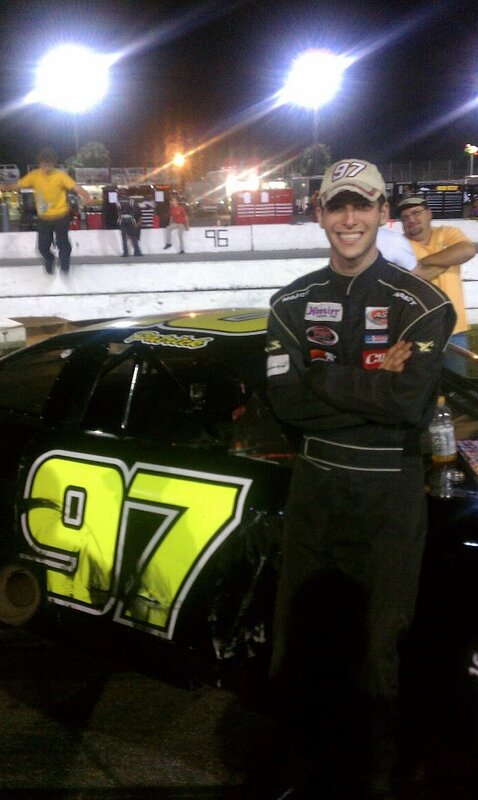 Last fall, Bob Bruncati reached out to Bickford about driving one of his K&N West Series cars. On Dec. 5, Bickford went to Toyota Speedway at Irwindale to test for Bruncati. 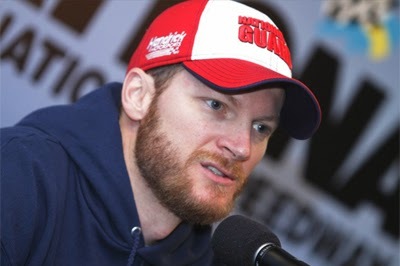 Dale Earnhardt Jr. met with members of the media at Daytona International Speedway and discussed the departure of Steve Letarte as crew chief in 2015, his outlook for the 2014 season and other topics. Question: Not just you but any driver, I guess, I would assume your crew chief needs change throughout your career. I know you said you sort of needed a Gary Hargett figure when you started, but what do you need in the middle part of your career and the latter part of your career? Dale Earnhardt Jr. I guess. I mean, when I got hooked up with Steve, we became pretty good buddies. He fit the role. Whatever it was that I needed at the time, he was perfect for that role. You know, I needed to get my confidence back. I needed to perform on the racetrack to be able to see that and to be able to understand my capabilities and my potential again. And we were able to do that, and he was able to help me through that process. You know, like I said, I'm not going to make any discussions on who I think we should get in there to replace Steve, but I'm ready to win races. I think that the team is getting really close to being able to accomplish that. The way we ran last year was an improvement on the past season, and 2012 was an improvement on 2011. I want to keep that going because we're getting really close. You know, whoever we bring in and whatever decisions that Rick and everybody makes in that regard, I hope they're ready to keep moving in that direction. I hope that we're able to maintain the integrity of the team because I think all the guys that I got working with me are the best group in the garage, and we'll just have to cross that bridge when we get to it. But we've got a whole 'nother season to go through. It's a long year and a lot of things that a lot of challenges ahead at all these racetracks we've got to run at, and we've got a lot of things unfinished that we've got to accomplish this year. A lot of things going on. A lot of things to think about. We've got I'm confident in Hendrick Motorsports to be able to juggle that, for us to be able to focus on this season and try to run well and also be able to hunt for the guy that's going to replace Steve. I feel confident that HMS can get it all done. MODERATOR: Dale, thank you for your time this morning. Good luck in 2014. Question: What do you imagine life will be like without Steve as your crew chief beyond this season? And how has your time with him prepared you for the next step? Dale Earnhardt Jr. Yeah, I think that Steve I've grown a lot as a driver working with Steve, and I feel confident that we can continue to see success. I want to give Steve a lot of credit for how I've changed, and he does have a lot of influence on the performance of the team, but I feel confident the team is going to be just fine no matter who the crew chief is. There's a culture in that shop, and it's a culture of success and winning, and anything else is not acceptable. I feel like that will continue after Steve is gone. I'm not really worried about whether we'll be able to maintain our consistency and keep getting better. You know, I think like I said, I think the things that I've learned with Steve and what he's taught me and how I've grown as a person and as a driver I'll be able to try to maintain that and carry that into the next relationship I have with the next crew chief. I really feel like he's helped me become much more professional behind the wheel in handling my responsibilities and communicating and carrying myself as an adult and as a professional. That was a bit of a problem for me when I was younger. I'd kind of lose it behind the wheel every once in a while and argue and fight. We definitely have moved quite a ways away from that. There's part of me that's kind of ready to accept the challenge and see how the change affects the team and how it's great that we've got a year to figure it out and find out who can come in there and take his place. It's going to be it's not going to be easy. The easiest thing would be for us to not have to make any changes, but that's not the way life is. We'll face it head on. But yeah, I think I've learned a lot, and it's going to be a challenge and a good challenge, one I'm ready to accept, to try to create a new relationship with a new crew chief. I'm sure that it's nothing to worry about. Question: So he was like your college experience, since you didn't go to college? Dale Earnhardt Jr. I suppose, yeah. Question: Dale, Steve kind of mentioned that this year is going to feel a little bit like this is my last chance to win the Daytona 500 with him and different things like that. If you were to be completely honest, do you feel like maybe it's I don't know if there's going to be a different approach, if that's the right word, but could you talk about how this season is going to be knowing this is kind of the last? 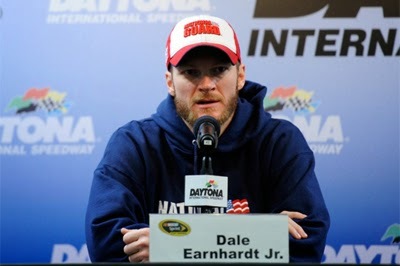 Dale Earnhardt Jr. Yeah, we talked about that, and you know, your first reaction is to get really disappointed and go, man, you know, this is the last year and trudge through it and be sad. But after you think about it for a while, it could have easily been a situation where he took a job in broadcasting this year and we would have left Homestead not knowing whether we would even work together again. Fortunately we get to work together one more year. Our friendship and I think how we enjoy working together excites us that we have that opportunity, and we're enthused that we have the opportunity to go through this process for one more season and that it wasn't cut shorter, and he gets to get it all out of his system, and I get to enjoy working with him for another year. I feel almost lucky in that regard that I get the opportunity to work with him for one more season. He's not going to work for another driver or another team, so it's kind of his last hurrah, and hopefully he never has to come back to that job again and his broadcasting career takes him on into the rest of his life. And I think it will. I think he's going to be fantastic. 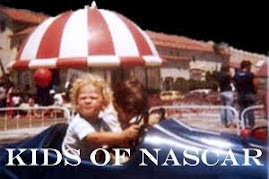 If you are like NASCAR Race Mom; you have probably wished you had more input as to how the races are conducted. Well now is your chance. Restart Order For Final Segment. Voting is UNLIMITED so vote often. Votes cast in the NASCAR MOBILE App count double. 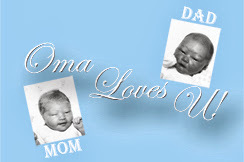 Voting ends on 02/15/2014. Tune in to FOX Sports 1 on Feb. 15, 2014 at 8:00PM EST to watch the 2014 NASCAR Sprint Cup Series season kick-off with the Sprint Unlimited at DAYTONA. The Nationwide and Camping World Truck Series each will change its qualifying format this season, doing away with single-car runs, NASCAR confirmed Friday. Robin Pemberton, vice president of competition, announced the change but would not reveal details. He said that format changes will be announced later this month - among several moves NASCAR is expected to announce throughout January. Pemberton said that the changes in both series qualifying formats would include the season-opening races at Daytona International Speedway. NASCAR won’t say if the format will change to qualifying races, group qualifying, the knock-out qualifying system used in Formula 1 or some other format instead of running one car at a time on the track. 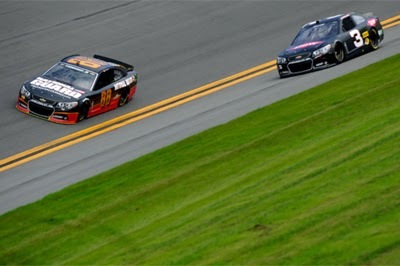 Nationwide and Camping World qualifying will each be held Feb. 21 at Daytona. The NASCAR Sprint Cup Series also is expected to have changes made to its qualifying procedure this season. Pemberton said the Daytona 500 qualifying format for the Cup series will remain the same with single-car runs on Feb. 16 on the Budweiser Duel at Daytona on Feb. 20.
the K&N Pro Series Qualifying? Question: You said you were happy for Steve. As much as you were, with the momentum that you guys were apparently coming into the season with, was it tough just to think, oh, man, why now? Dale Earnhardt Jr. Not really. I had a lesson back when I raced late models, I was working with Gary Hargett, and Gary Hargett and I worked together in '94, '95, and he became kind of like a grandfather to me, really, really, really close relationship. I spent a lot of time with him throughout the week and throughout the weekend, and when we went to the racetrack we went together. It was just a great relationship. And there was a day where I had an opportunity to move my cars from his shop in Union County up to my shop to be able to work on them. It was an hour drive. And at that time I was working at the dealership in Newton, and then I would drive to Gary's at the South Carolina line and work on my car on Wednesday nights and then I'd drive back down on Fridays and go racing at Florence and Myrtle Beach on Friday and Saturdays, and it was a lot of driving around. My father said, all right, we're going to bring your cars up here and I'll give you some space to work on them and you can keep them up here and learn how to build these cars and fix them, and I was just missing out on that experience being able to work on my own cars and understand them. But I had to take it away from Gary, and I wanted him to come up to the shop and work, and he didn't want to drive an hour up there to work, so he decided he wasn't going to do that, so he had to split up. I was taking the cars and moving the cars up to Mooresville because that was what was good for me and my career, but I was going to have to do it without Gary. And that was a real, real difficult choice to make. That was just a lesson I learned early, that things in the sport, no matter how great they are and how much you enjoy them, aren't always going to stay the same. This is just another situation where that's come true. DAYTONA BEACH, Fla. — Quebec is home to some of the most passionate motorsports fans in the world and they’ll once again be treated to exciting NASCAR Whelen All-American Series action this year. Autodrome St. Eustache and NASCAR recently announced the track will join the series in 2014. The .4-mile oval will crown NASCAR track champions and Division I competitors at the track will contend for the NASCAR Whelen All-American Series Quebec championship. The Sportsman class will be NASCAR Division I in which Jean-Francois Bouvrette claimed the 2013 track championship. Sports-Compact cars are set for NASCAR Division II that had Patrick Boucher as the champion in 2013. Stephan Aubin is the defending champion of the Mini Legends that will be NASCAR Division III. The track will race on Saturday nights from May through September with the 2014 season opener scheduled for May 24. Autodrome St. Eustache returns to the series after a three-year hiatus and a NASCAR championship will be decided on the .4-mile oval. The speedway was part of the Whelen All-American Series from 2004 to 2010. It also hosted the NASCAR Canadian Tire Series 2008-10 and Canada’s top racing series returned to action there in 2013. Last year the Jeff Gordon Children's Foundation raised more than $25,000, for the second consecutive year, for pediatric cancer research! The first raffle of 2014 is underway. The drawing will be held on January 30. The grand prize is the 1995 Beckett magazine, which was published after Jeff's first championship. It recaps his racing career from the start thru the 1995 season. Jeff graciously autographed the title page of the publication. Additional prizes include diecasts, hats, rare publications, and some other treats for JG fans. Tickets are $5/ea. 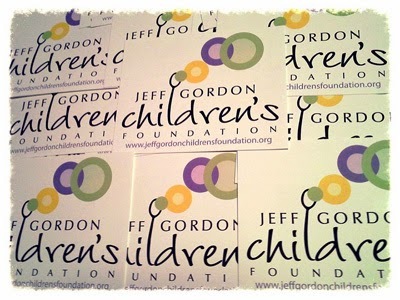 and all proceeds benefit the JGCF for pediatric cancer research and treatment. The birthday party invitations are going out this week to homes across the Coachella Valley in California. The soon-to-be 12-year-old boy has been asking for a golf party to celebrate his birthday in late February. Besides watching auto racing on the weekend, he loves golf and spends most of his spare moments on the course just steps from his front door. He started middle school last fall and has a lot of new friends, including his first girlfriend. On this particular day, he's texting with a friend from school, chatting with his dad about last night's Los Angeles Clippers game, and procrastinating about starting a school project. Because, after all, that's simply what 6th graders do. There's one detail that I failed to mention: The above scenario is complete fiction. The birthday party celebration is a false echo. It is what Jackson Panzarello's life should have been like today. Those are the experiences he should be having. Pediatric cancer claimed his life in June 2012 when he was 10 years old. He was diagnosed with glioblastoma multiforme just 16 months earlier. It is the most common and the most aggressive malignant primary brain tumor. A few weeks after his first flu-like symptoms began, his parents sat in a cold medical office in Los Angeles and were told two haunting words "It's terminal". Jackson fought the disease with every fiber of his being. He didn't lose the battle against cancer. We did. We lost the battle. In the end, we failed Jackson the same way we've failed thousands of other children. "Together with our hospice team, we have decided to forgo any further chemo. It's obvious the cancer has come back with a vengeance and we have chosen to keep him home where he is surrounded by love, peace and calm." Lisa's words reflect the moment that so many childhood cancer advocates dread when families are out of viable treatment options. Her words reflect how we, as a society, failed our children. I've often told people that cancer is the worst thief in the world because it's not content with stealing everything you hold dear. It brings you to your knees with unbearable pain. It stole a lifetime of memories from Jackson. It robbed his family of watching him grow into the person he would have become. Cancer leaves an unopened box of haunting questions in its wake. Since Jackson came into my life, I've spearheaded fundraising efforts that have raised more than $60,000 for pediatric cancer charities. To raise money to fight the disease, I've participated in 5K runs, organized community kickball games, and made dozens of trips to the post office to send out raffle prizes. Every fundraising effort is guided by Jackson's memory and the promise of a research breakthrough. Ultimately, this is about the future. It's about your children's future -- and their children's future. It's about ensuring that pediatric cancer will not impact them the way it has impacted so many families. The dollars you donate today will provide safer and more effective solutions to give children a fighting chance against the disease. It is illogical that Jackson's life was claimed by a disease that we will someday have the power to cure. Pediatric cancer has been underfunded and deprioritized for too long. Every day, 36 children are diagnosed with cancer. Every day, 7 children are lost to the disease. It should not be viewed as "somebody else's problem." It is our problem. And it falls on our shoulders to solve it. This is why I support The Jeff Gordon Children's Foundation and their research team at Riley Hospital for Children at Indiana University Health in Indianapolis. Together, we'll see the day when pediatric oncologists no longer utter the words "its terminal" and can instead reassure families with the words "It's curable". 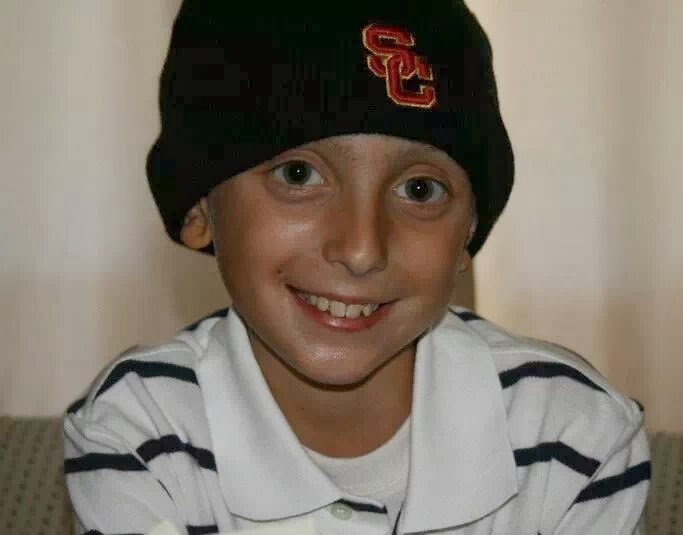 During Jackson's fight against the disease, his family adopted the motto "Fight On", the fight song of the University of Southern California where his parents attended college. In memory of Jackson and the thousands of children who have been lost to cancer, we will Fight On until safer and effective cures are readily available. That is my promise to his family and friends in the Coachella Valley, and to every child and family impacted by this insidious disease. Question: You touched upon the cheerleading thing about Steve and how he made you a better driver. Could you expand on just why specifically you connected with him so well over the last few years? Dale Earnhardt Jr. Yeah, I think the reason why we got off on such a we really took off at the very beginning of our working relationship because he was always positive. I'd just been I'd beat myself up and went through such a struggle on the racetrack and professionally I was having a hard time up until that point in the couple years before I worked with Steve. And things just weren't good at all. I couldn't get any traction, couldn't get anything going in the right direction, and I didn't know why, why I didn't run well. I couldn't see a problem with the team I was with. I couldn't see a problem with the people I was working with. I couldn't see a reason why we were so unsuccessful. When I went to work with Steve he was just always real positive, we're going to get this figured out, we're going to get it better, and when we didn't run well, he didn't ask me why we didn't run well, he said we're going to figure out why the car didn't perform, we're going to give you a better car and we're going to improve the body or build a new chassis and we're going to do things that can help you drive and race like you want to. And then when we would go and physically do those things, build a new car or cut the side off of a car and take it back to the racetrack, we improved. It took a lot of pressure off of me as I wasn't the reason for all the failures and all the struggles in the past. When we would not run well, he could point to an area where we could improve, and we would improve that area and the performance would pick up. It was a lot of fun, take the pressure off of me and just be able to go to work and see things change and get better. That was just a great experience. Tickets for the second annual UNOH Battle At The Beach on Tuesday, Feb. 18, part of Budweiser Speedweeks 2014 at Daytona International Speedway, are now on sale. Ticket prices start at $25 and can be purchased online at www.daytonainternationalspeedway.com or by calling 1-800-PITSHOP. UNOH Battle At The Beach is a short-track event held on the backstretch of the “World Center of Racing” that will feature the NASCAR K&N Pro Series East and the NASCAR Whelen Modified Tour. In last year’s inaugural UNOH Battle At The Beach NASCAR K&N Pro Series race, Cameron Hayley came from behind during a green-white-checkered finish to capture the victory. In the NASCAR Whelen Modifield Tour race, NASCAR veteran Steve Park finally earned his first Daytona victory. In addition, Daytona International Speedway has reached an agreement with a number of area hotels to secure special room rates during the UNOH Battle At The Beach to make it more affordable for racers and fans to attend the UNOH Battle At The Beach. 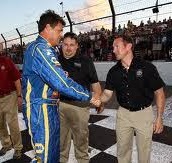 More information can be found at http://daytonahotelmotel.com/speedway-short-track. Fans can follow NASCAR on Twitter (@NASCAR and @NASCARHomeTrack) and stay up to speed on the latest news by using hashtags #NASCAR, #DAYTONA500, #ROADTODAYTONA and #NASCARBattle. Stay connected with Daytona International Speedway on Twitter, Facebook, Instagram and Pinterest for the latest news all season long. Fans can also follow the latest on DAYTONA Rising, the $400 million frontstretch renovation at the “World Center of Racing” by using #DAYTONARising on Twitter or visiting www.daytonarising.com. Question: You mentioned that you've had several months now to wrap your head around this and kind of come to terms with it, but when he first sat you down maybe sometime last fall or something and was like, hey, not even saying that he was going to do it but there was a possibility, was it like a gut punch to you? Were you taken by surprise? What was your initial reaction? 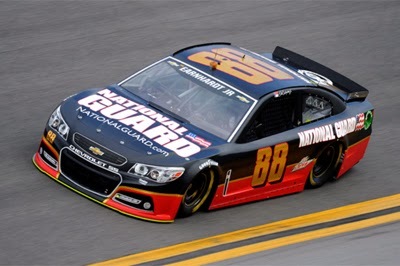 Dale Earnhardt Jr. I think I heard about it at the Charlotte race, the second Charlotte race, and I asked him to come over to the bus. I usually don't take my bus to Charlotte, but I had it there. Yeah, I was in shock. I didn't know what was going on. I thought it might be something I didn't know what exactly the rumors were kind of sketchy and unclear, and I didn't know the specifics of what he was thinking about doing, just that he would even want to do anything different blew me away because we were all having such a good time and the team was moving forward and the trajectory was great for what we were trying to accomplish. We were getting closer and closer to realizing our potential. So yeah, it was a huge shock at first, and the more just for me personally, it was difficult. And the more I sat down with him and talked about it, the more it made sense and the more I understood his situation, and I could put my own selfishness aside and kind of understand what was important to him and how this was good for him. You know, he's a good guy. He deserves these opportunities and he's earned it. Question: At this stage in your career how much input do you want to have on who your next crew chief is? Will you make suggestions? Will you have say in the final decision? How will that work? Dale Earnhardt Jr. I won't make any suggestions at all. I will leave that up to Rick, Doug. I would love to have input from Chad Knaus and Steve. I think that Steve knows what makes this teamwork. Steve knows how I can be successful and how the individuals within the team can be successful. I think he'd be a good guy to sort of pick at and hope that Doug and Rick would include him in that conversation at times. I think it's important that Chad has got a lot of influence because he knows how well the shop works together and what the culture is in the shop and how a guy, a particular guy may mesh in that environment. But I don't really want to have any influence on the choice. I want I think that those guys are the ones that can make the choice and have the most success with that decision. I'll just kind of it was Rick and upper management that decided to put me with Steve. I didn't know how that was going to work out. I didn't know much about Steve. I knew him and Jeff were not really clicking at that point in time in their careers, so I didn't know exactly what was going to happen, but I just wanted to trust their judgment, and that's what I'm going to do. Second-year driver Cole Custer will run nine events in the Bill McAnally Racing No. 00 NAPA/Haas Automation entry. Custer of Ladera Ranch, Calif., raced in the K&N East in 2013 as a 15-year-old rookie – capturing two wins, two poles and finishing eighth in the overall championship standings. He also had one pole in two starts in the K&N West. Prior to competing in NASCAR’s top developmental series, Custer raced Late Model stock cars in California, Nevada, North Carolina and South Carolina. 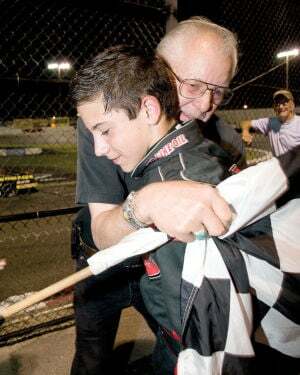 His open-wheel racing before that was highlighted by a JR USAC Ford Focus Midget national championship in 2011. His previous racing experience included USAC Midgets, Legend cars, go-karts and Bandalero’s. He competed in QMA and USAC Quarter Midgets early in his career. 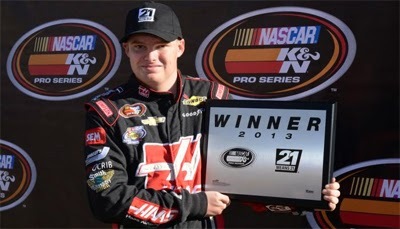 Custer is the son of Stewart-Haas Racing Executive Vice President Joe Custer, who admitted he did not anticipate how competitive his son’s team would become in its first season in the K&N East last year. Matt Goslant, who served as the crew chief for Custer in his rookie season in 2013 and prior to that had led BMR’s championship team when it won the K&N West title in 2010, will head up BMR’s new K&N East program as the general manager. Question: What do you fear the most about losing Steve as a crew chief? In other words, kind of what are such his strengths that you're like, man, how are we going to do this without him? Dale Earnhardt Jr. Yeah, I think the one thing that I fear is just trying to get a guy in there that's equally as talented. I think I'm not really Steve is a great cheerleader and definitely built up my confidence and changed me as a race car driver and as a person. Working with him has really helped me grow. I think you guys have all seen that over the last several years. I think I can carry that with me, what I've learned about myself and what I've learned about the job and what my job is and what my responsibility is to Steve and the crew chief. I think I can carry that with me hopefully I can at this age. Hopefully I've learned something and learned enough to do a better job for the next guy. I think that my fear is just can we replace Steve. It's a guy that's going to be hard to replace. I'm not worried about the specific qualities that Steve has, but just will we be able to get a guy in there of equal talent, and how well will we be able to make that transition seamless. It's going to be a real challenge to do that, and I guess that's my only concern. NASCAR has named Richard Buck, a NASCAR executive with a wealth of diverse experience in motorsports, as NASCAR Sprint Cup Series managing director. Buck will serve in the role held the past 12 years by John Darby, who will remain at NASCAR as managing director, competition. 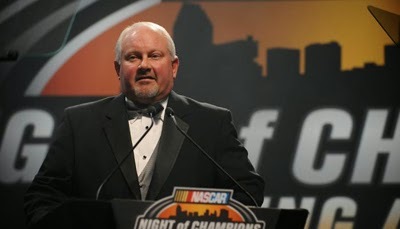 Buck and NASCAR’s two other national series managing directors – Wayne Auton (NASCAR Nationwide Series) and Chad Little (NASCAR Camping World Truck Series) – now will report directly to Robin Pemberton, NASCAR vice president, competition and racing development. Buck currently serves as vice president, racing operations for the International Motor Sports Association (IMSA), a role he will maintain through the 2014 Rolex 24 At Daytona (Jan. 25-26), at which time he will assume his new position. In addition to his role with IMSA, Buck has been serving as the managing director of NASCAR’s Touring Series, the all-important grassroots racing program that has developed numerous top-flight NASCAR drivers over the years. Question: Obviously with Steve (Letarte) just leaving, can you talk about your thoughts, and how long have you known, and what you think about the situation? Dale Earnhardt Jr. Yeah, it's definitely a unique situation. He actually included me in on the discussion before the end of last year, and I had a pretty good understanding, whether he knew or not, what he was going to do. I had a pretty good understanding what his decision was going to be when I left Homestead. So I've had time to really wrap my brain around it. It was hard because we are such good friends, and I really do enjoy working with him a lot. But at the same time I'm happy for him because it gives him the opportunity to spend time with his family. It's something that's really important to him, and the way these races are broadcast and how they're presented to the fans is a big part of how the sport remains healthy, and I think that he's going to be incredible in that role. I think that he'll I think that he'll be really good. I'm excited for him because I know he's really looking forward to it. You can tell when he talks about it how genuinely enthused he is about the opportunity. And at the same time, you know, I'm not worried about this season and how focused we may be. I know that he's really good at separating things and keeping things compartmentalized, as Jeff Gordon likes to say about Steve. I know that we're going to be fine as far as how we'll compete this year and how dedicated and how we might move through the process of the season. I expect us to do nothing less than improve on what we've been doing and steadily keep moving toward our goals. But it's definitely going to be emotional and difficult at times, just because we really enjoy working together. But I'm excited about the year. I'm excited about our chances as a team. We've got a great group of guys. Steve is a great crew chief that's going to get us a good opportunity to try to win some races. And I think that the team, just based on the personalities and how well we all get along and mesh and how much fun we really had last year, I think that everybody can buckle down and do their jobs, and I think we can do well. Michael Waltrip, Eric Holmes and Patrick Staropoli, will join driver Brandon McReynolds to compete for Bill McAnally Racing in select series events in 2014. Waltrip, a two-time Daytona 500 winner, is slated to race in two series events in 2014. It will mark his fifth straight season of competing in a BMR entry. The co-owner of Michael Waltrip Racing has one victory in the NASCAR K&N Pro Series West, at Pikes Peak International Raceway in Colorado in 1997. Holmes, a three-time champion in the NASCAR K&N Pro Series West, is scheduled to compete in select series events for BMR in 2014. In addition to winning series titles in 2006, 2008 and 2010; Holmes has 17 wins and 13 poles in 102 starts. Staropoli will return to run five races for BMR in 2014. Staropoli, 24, of Plantation, Fla., had one top-five and two top-10 finishes in two starts for the team in 2013, which followed his winning the PEAK Stock Car Dream Challenge. BMR has a long history of success in the NASCAR K&N Pro Series West. The team won five series championships – in 1999, 2000, 2001, 2008 and 2010 – and its multi-car teams have combined for a record 50 series wins. MODERATOR: We welcome now Dale Earnhardt Jr., driver of the No. 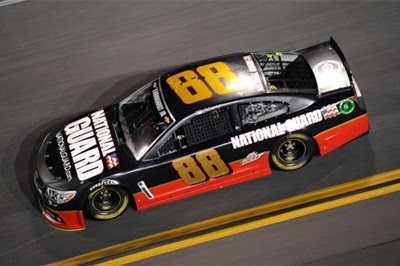 88 National Guard Chevrolet. 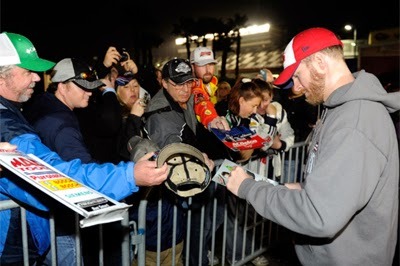 Dale, welcome back to Daytona, 2014 season. Talk to us a little bit about your thoughts coming into a new season and what it feels like to be back at Daytona. DALE EARNHARDT JR.: Yeah, I wish the weather would straighten out so we could get out on the track, but otherwise we're just kind of hanging out. I think I've been in the shop a little bit this off season. Looks like everybody is geared up to get going and get out of the shop and get back to the racetrack and do some testing and just get back into the groove and get back in the car and get back with your guys and working on trying to improve what you're doing. There's still a little bit of off season left, and we're definitely going to make the most out of January, as we always do, before we have to really get to work. But everybody seems to be pretty excited about getting the year going. On January 21, 2010, K&N Filters signed an agreement be the title sponsor of NASCAR's top developmental series, which was formerly known as the Camping World Series East and West. 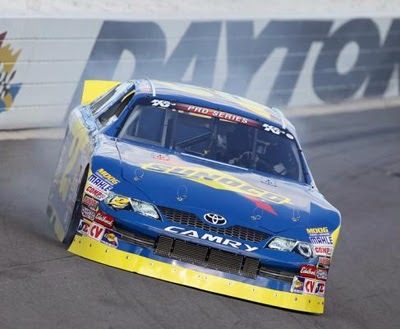 K&N started as the series entitlement sponsor of the 2010 Toyota All-Star Showdown on January 29th-30th the same year. The agreement between K&N and NASCAR will go through the 2016 season. 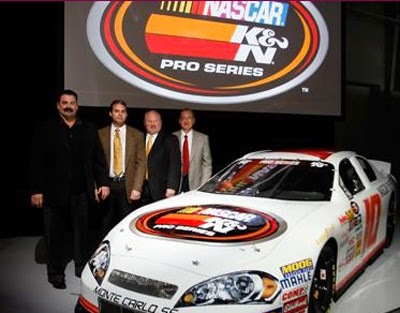 "K&N is a company that epitomizes the spirit of NASCAR," said Brian France, NASCAR chairman and CEO stated in 2010. 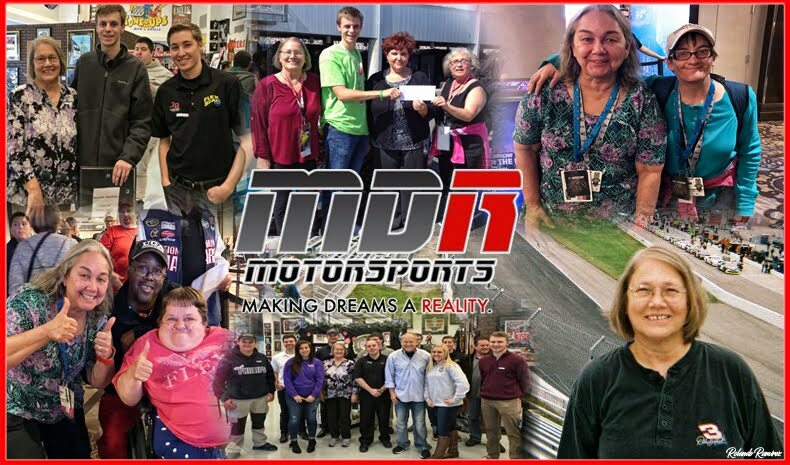 "The developmental series are a tremendously integral part of the past, present and future of NASCAR -- from the great champions throughout the years to the pipeline of tremendous racers that have made their way up the NASCAR ladder to our national series." K&N traces its involvement with NASCAR back to the early days of supplying parts for the Sprint Cup Series races at the old Riverside Speedway. Thanks you K&N Filters for a wonderful four years so far!